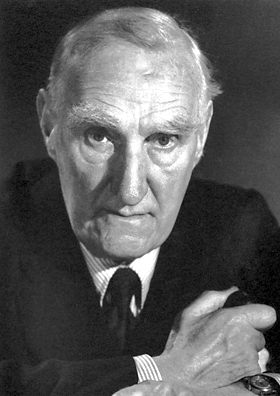 John Boyd Orr, 1st Baron Boyd Orr of Brechin Mearns, (23 September 1880 – 25 June 1971), styled Sir John Boyd Orr from 1935 to 1949, was a Scottish teacher, medical doctor, biologist and politician who was awarded the Nobel Peace Prize for his scientific research into nutrition and his work as the first Director-General of the United Nations Food and Agriculture Organization (FAO). He was the co-founder and the first President (1960–1971) of the World Academy of Art and Science (WAAS). He was elected President of the National Peace Council in 1945, and was President of the World Union of Peace Organisations and the World Movement for Federal Government.